Courtesy photo/Gloucester Daily Times. Manchester: Northeast Youth Ballet performing for Manchester Memorial Elementary School students recently at the Manchester Essex High School. In front, from left, are third graders Lucy Cootes and Tyler Erdmann. 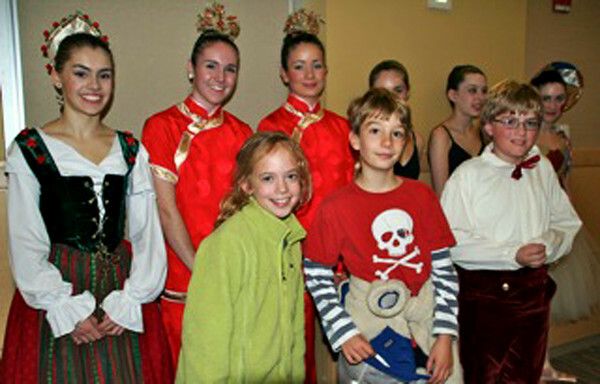 They are with dancers Jessica Griffin, Anna Whalen, Ellen Duddy and Max South. The dancers performed an abridged version of The Nutcracker at Manchester Essex High School, then held a question and answer session with the younger pupils.